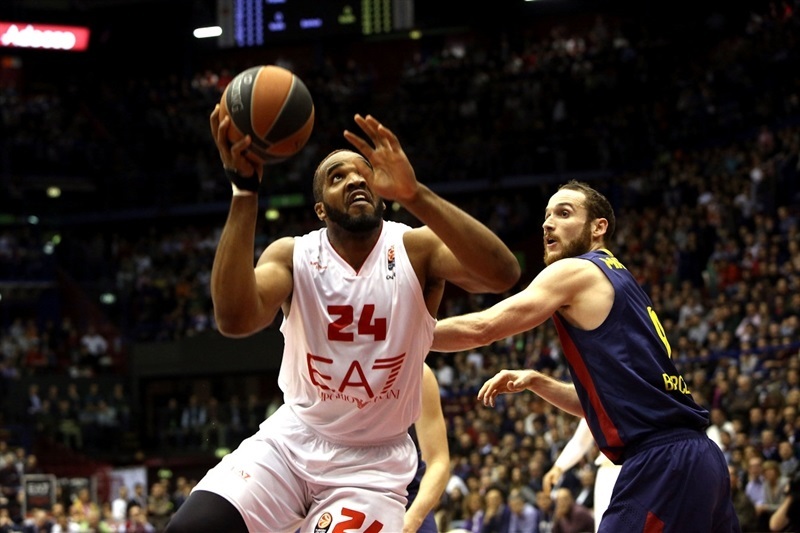 EA7 Emporio Armani Milan sent a message throughout the Turkish Airlines Euroleague by rocking FC Barcelona 91-63 on Wednesday at the site of the 2014 Turkish Airlines Euroleague Final Four, Mediolanum Forum. 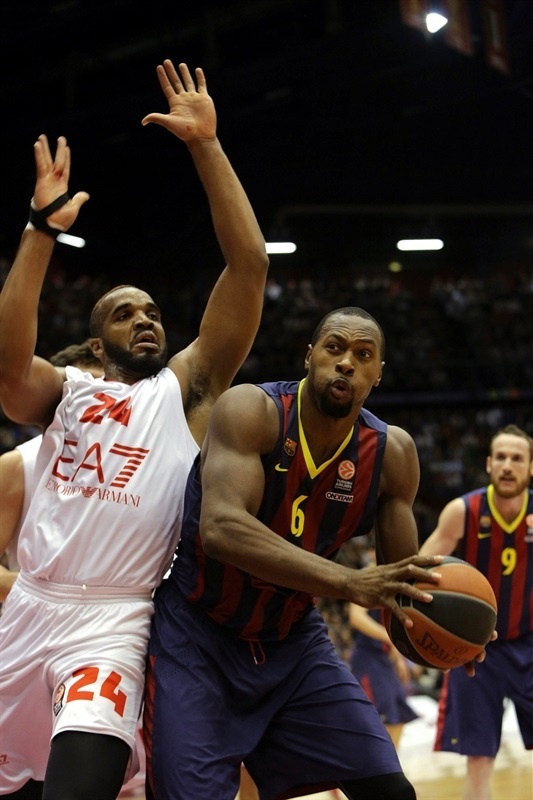 A 12-0 run in the second quarter put the hosts in control for good and a 16-2 third-quarter charge fueled by Alessandro Gentile and Samardo Samuels turned it into a blowout as Milan became the first team to score 90 points against Barcelona’s vaunted defense since Unicaja Malaga in April 2007. Milan won its seventh straight game and improved to 10-3 behind only Barcelona in Group E. Barca saw its 13-game game winning streak and run of 24 straight Top 16 victories come to an end. Gentile finished with 24 points, 7 rebounds and 6 assists for Milan, while Samuels netted 16, Curtis Jerrells 14 and Daniel Hackett totaled 11 points and 6 assists. The key for the winners was exceptional three-point shooting (9 of 16, 56.3%); Barcelona was just 2 of 16 (12.5%) from downtown. Alex Abrines, making his first start of the Top 16 in place of the injured Juan Carlos Navarro, led Barcelona with 14 points. 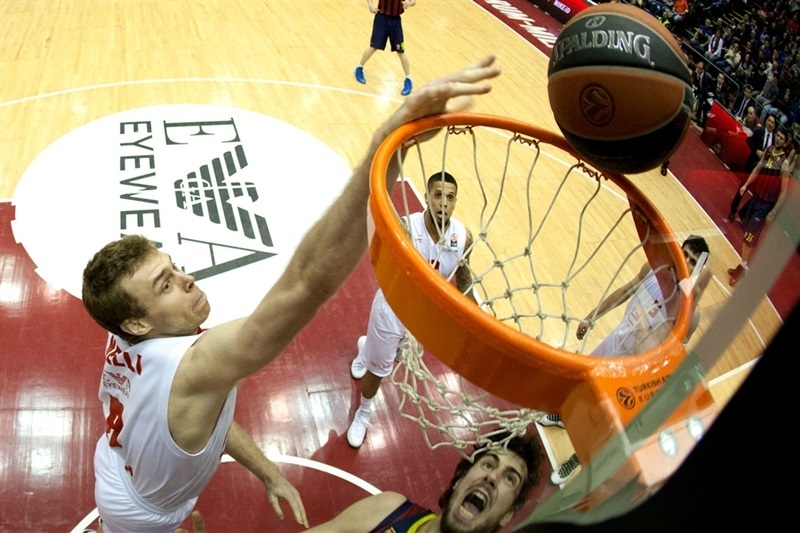 Back to back bwin MVP of the week Ante Tomic posted 8 points and 7 rebounds in just 15 minutes as all 12 Barcelona players played at least 10 minutes. Abrines opened the scoring with a three-pointer before Erazem Lorbek threw in a hook shot. Gentile opened the scoring for the hosts with a pull-up baseline jumper. Milan closed within 6-7 after a Samuels slam and a long jumper from Gentile. 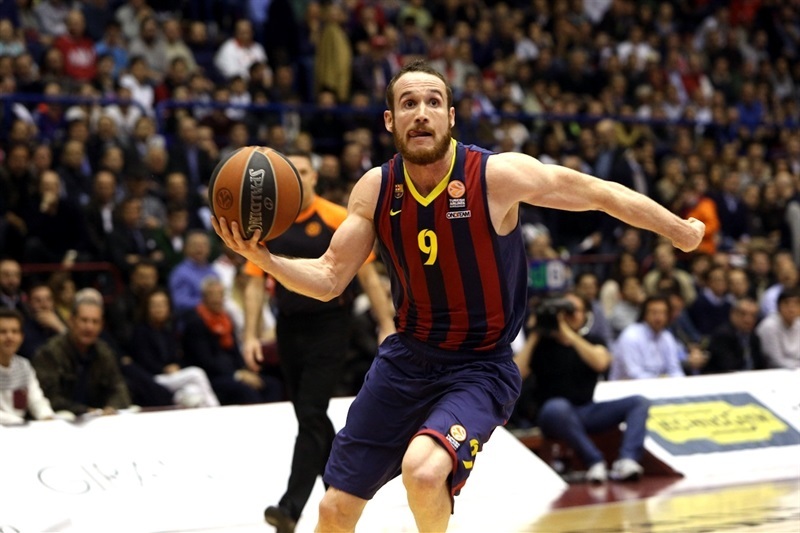 Another Samuels slam gave the home side its first lead, but Marcelinho Huertas put Barca back ahead. Milan twice tied the score on free throws by Hackett and Gentile. Milan continued to attack, took the lead on another Samuels jam before the big man took a pass from Hackett as the trailer on a break to make it 16-12. Free throws by Victor Sada, Joey Dorsey and Marko Todorovic evened things at 18-18. Mari Hezonja finished inside as the visitors regained the lead. A C.J. Wallace three in the closing seconds of the quarter gave Milan a 21-20 edge through 10 minutes. Brad Oleson converted a three-point play before Jerrells free throws evened the score again. Gani Lawal’s attempted block of Maciej Lampe was ruled goaltending. 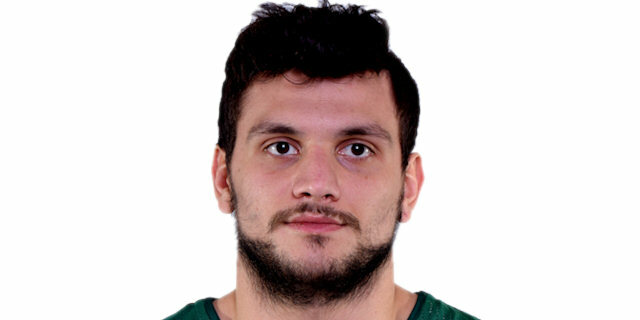 A second Lampe score made it 23-27, but Milan stayed close as Bruno Cerella nailed a three-pointer from the corner. Hackett drove to put Milan on top. Jerrells extended the run with a triple before Lawal dunked and Hackett made a layup on back-to-back fast breaks to cap a 12-0 surge to make it 35-27 midway through the quarter. 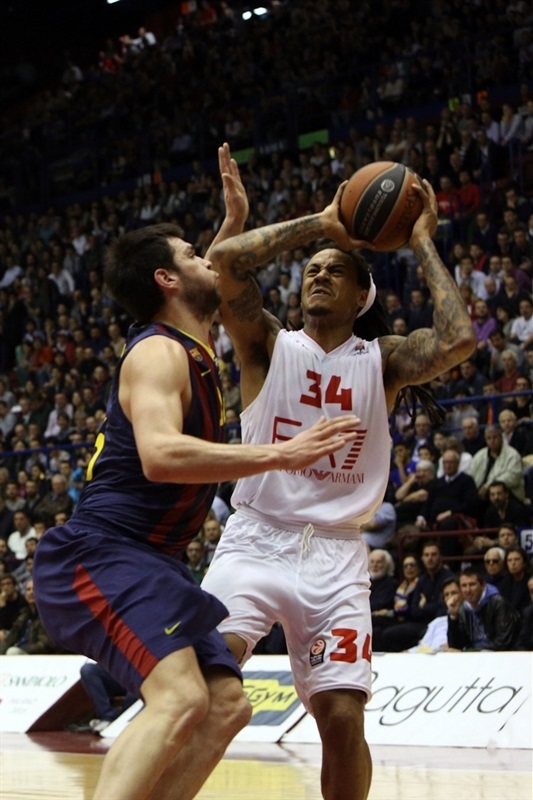 Lampe ended the Barcelona drought from the line, but Hackett banked in another bucket and connected from downtown to give Milan the game’s first double-digit advantage. 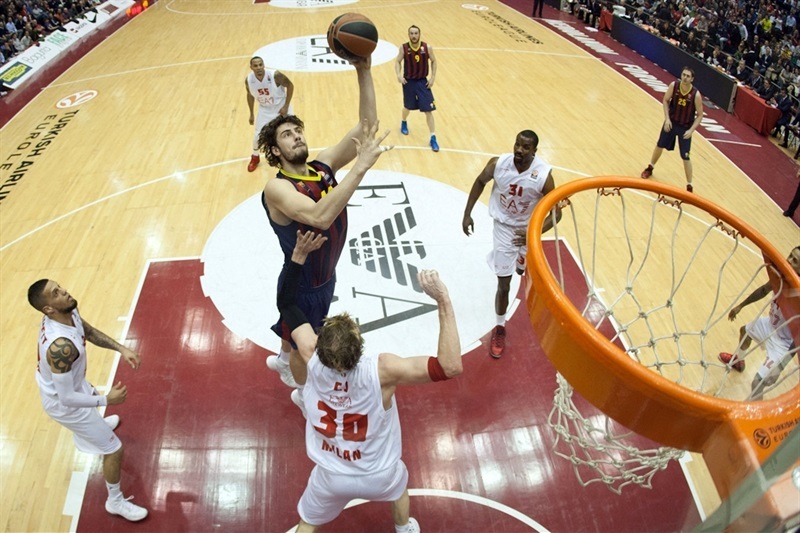 Tomic revived Barcelona with a hook shot, but the visitors struggled with their shooting. Jerrells and Lorbek traded threes as the half arrived with Milan up 43-34. Samuels scored 3 points over two possessions as Milan went up by 12, however he also committed his third foul early in the second half. Gentile made it 48-34 before Sada netted Barcelona’s first basket of the half nearly three and a half minutes into the third quarter. But threes each from Gentile and Hackett brought the house down with an 18-point advantage. Dorsey got to the line, but missed for the sixth time in a row! Samuels muscled his way inside and Gentile knocked down a three to make it 59-36. 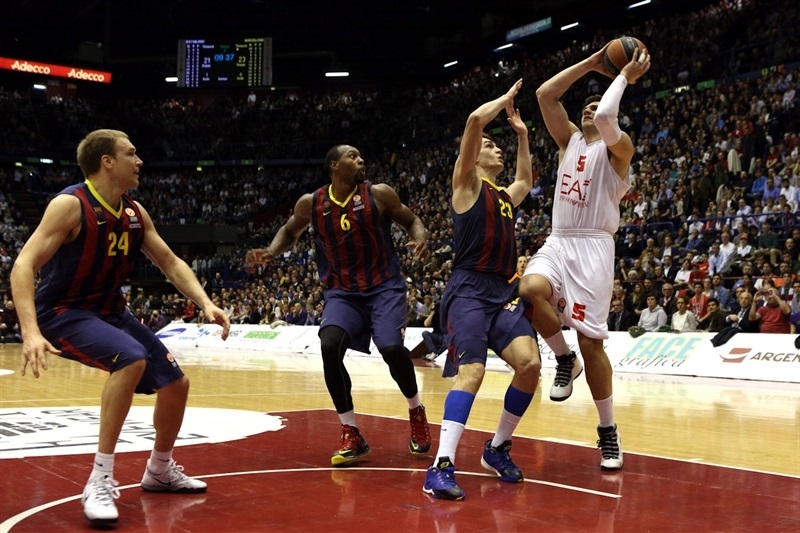 Todorovic ended Milan’s 16-2 charge from the line, but Nicolo Melli became the seventh Milan player to connect from downtown. Gentile went coast to coast for a layup and a 64-38 cushion. Jerrells boosted the hosts to 69-40 through three quarters. A Lawal slam stretched the lead over the 30-point mark. 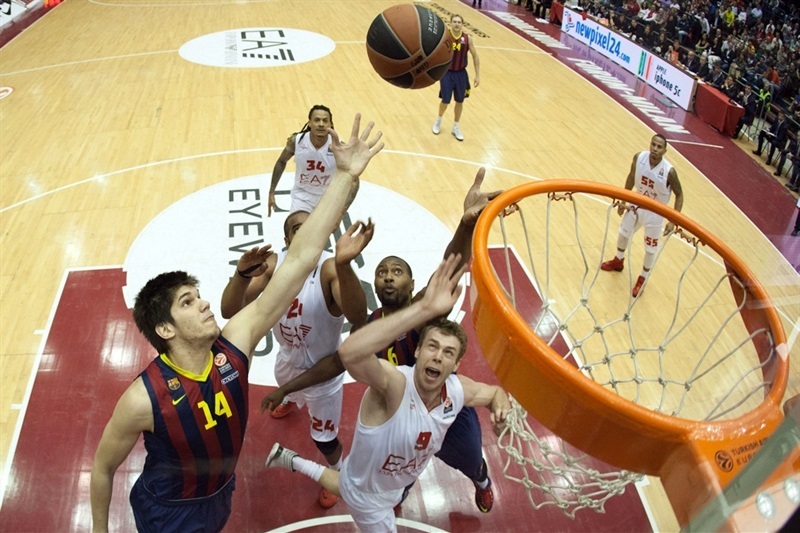 Tomic scored free throws – after an unsportsmanlike foul on Lawal – and Abrines added a layup. Tomic scored again, but Gentile drove for a tough score and Lawal settled the fans with a free throw to make it 74-46. 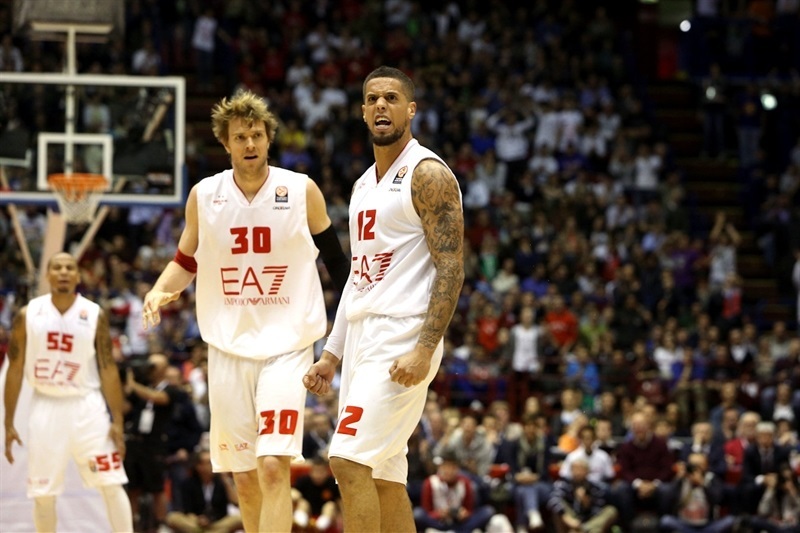 Baskets by Jacon Pullen and Todorovic were not enough to threaten Milan. Gentile threw down a slam to the delight of the fans. Tomic was whistled for an unsportsmanlike foul on Lawal, who made the free throws. Jerrells followed with a three-pointer to make it 83-50. The outcome was clear as the Milan fans sang in tribute to their heroes, who sent a message far and wide with a huge victory. "We had another extraordinary night and an incredible performance. Our intensity was at its top, we knew the game did not have any meaning for the future, but it raised our confidence. We played other extreme moments in the season with big ups and downs; tonight we played with outstanding confidence. We have clear in our mind that tonight everything looked easy, but there will be very difficult games, and very difficult moments in the future. I don't want our enthusiasm and euphoria to put us in trouble. We must stay together and continue to work hard knowing that difficult moments will arrive, I'm sure of that, and at that time we must be together to get through them." "First of all, congratulations to Armani Milan for the victory and for involving a big number of fans tonight. 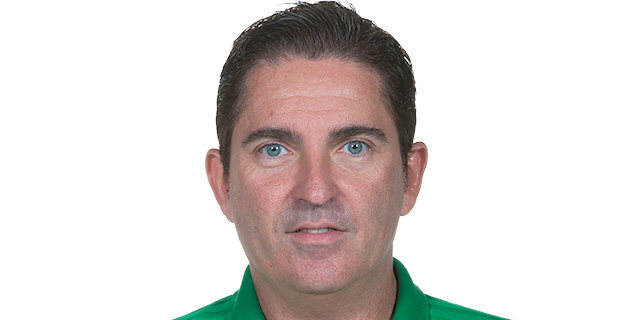 It is very important for the city, and I hope they will play a great playoffs. One team had more desire to win the game, and they deserved it. We had some problems in the first quarter, but we answered in the second quarter when raised our intensity. But in the third quarter we played the worst way possible. Then with the game broken we disappeared and their confidence grew, but I don't want to take merit away from Milano's victory." "It has been a special night for the team and for this amazing crowd. With so many fans supporting you this way, you play with more intensity and motivation. We had amazing shooting percentages from long distance, but our defense was the key to everything and I think that everybody on the court did his job. We have increased our confidence game-by-game, and now raised it to the top. 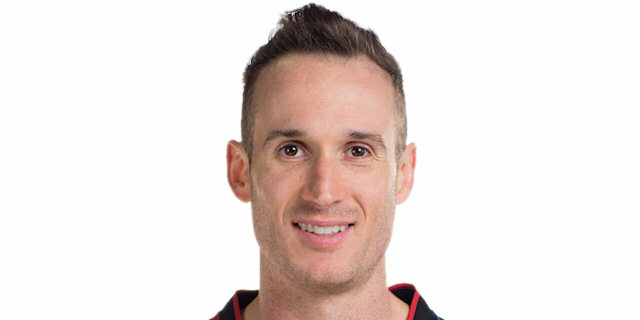 It may look easy, but we have keep on working hard and looking at the next step." "There are no problem in the standings, but our mind could be effected, our chemistry and confidence could have some problems after a game like this one. They played a great game with an amazing intensity, but we played very badly and we have to react quickly to get back on track. 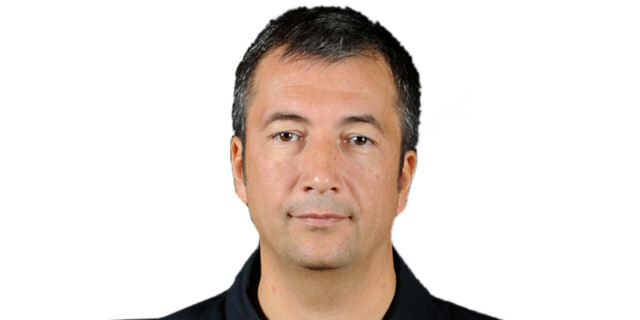 We have to beat Laboral Kutxa next week and stay focused because the playoffs are round the corner."